I have been having so problems lately that felt to me like I had been ingesting some gluten. For the life of me though I could not figure out where or how. I have not been eating out so I knew that I wasn't poisoning myself. Then it dawned on me that I was only having these problems after having coffee with Rice Dream Rice Milk in it. I then began to wonder why my favorite dairy free and I thought gluten free beverage was giving me problems. Well it turns out that although it is not labeled as such that it does indeed have gluten in it. The gluten is from the unlabeled barley enzyme they use in the process of manufacturing the rice milk. The company takes the stance that it is gluten free however. "Is RICE DREAM Beverage a gluten free product? Yes. Although RICE DREAM Beverage is processed using a barley enzyme, the barley enzyme is discarded after use. The final beverage might contain a minute residual amount (less than .002%) of barley protein." However, it is enough gluten to make me sick. I bet that it is also enough gluten to make other people sick too. I want as many people as possible to know that this is NOT a gluten free food. Oh my gosh how you have suffered with this. It's really not fair of them to have traces and still claim it gluten free! I'll be tweeting this one for you. Hope you get to feeling better soon and find a new coffee mixer! That seems kind of shifty to me. I can't believe they label it gluten free but it has enough to make you sick. Good thing you realized what was causing it. Apparently, what they consider a residue is enough to make you sick. labeling is a very interesting topic. too bad that they deem it a minuscule amount and therefore inconsequential. I would bet others might have trouble with it and don't know why as well. Just like in "organic" labeling: it only has to be 95% to be labeled organic. That other 5%? Could be soy lecithin. And if it is not organic soy lecithing, you can bet that it IS genetically modified (GMO) soy lecithin. Tricky, tricky! I've been on a gluten free diet as well as an Elimination Diet to settle my stomach and see what else i'm allergic to. 7 days into it I was seeing improvement. Then i started to use Rice Milk and OMG....the hives and rashes are back. Glad i found your comment on the Rice Milk. THANK YOU!!!!!!! That may also explain my reactions when eating their ice cream bites?! I find it interesting that they no longer have this information posted on their site. However, they do not state that their manufacturing processes have changed. I know that I personally will not try this product or any of their rice milk based products again. It just isn't worth the risk to me. I had been using a store brand rice milk and recently bought several cartons of Rice Dream because the protein was higher. I wonder what the new manufacturing process is. Even though Hain CLAIMS their rice beverage product is gluten-free, it is NOT. Since I changed from So Delicious coconut milk to Hain’s Rice Dream rice milk I have had increasing pain in my upper right flank and horrible diarrhea for the last six months. My body was acting like I had been glutened. I have months trying to figure out what I was eating that had gluten in it. The answer was: nothing. When I started using Rice Dream rice milk, I had checked out Hain’s website to make sure that Rice Dream was gluten free before purchasing it. They said it was. But today, after coming to the conclusion that Rice Dream rice milk must be my problem, I did a Google search for “Rice Dream rice milk gluten” and found many celiac forums and Celiac Disease experts cautioning against this brand of rice milk. Many people have written online in celiac forums about how they react badly to Rice Dream rice milk. Hain uses a barley enzyme in the beginning process of making the milk. 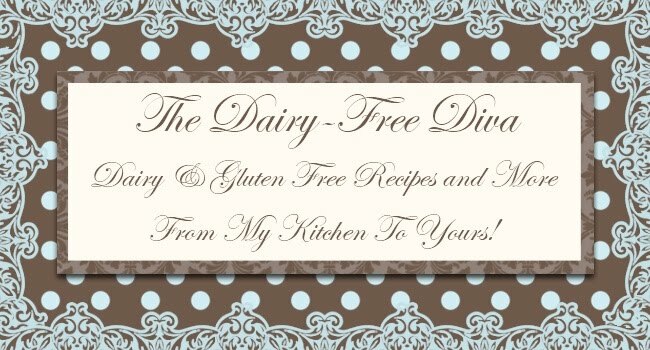 Hain is lying when they say on their site: "Is Rice Dream Beverage a gluten free product? Yes. Although Rice Dream Beverage is processed using a barley enzyme, the barley enzyme is discarded after use. The final beverage might contain a minute residual amount (less than .002%) of barley protein." They state that they use it and then “throw it out.” But apparently it is still in the rice milk no matter what they say. In fact, once the barley enzyme is in the rice milk, how in the world can it be separated out. More and more people do not trust the Rice Dream beverage – and they do indeed react like I have reacted. In fact I drank the Rice Dream rice milk long enough to do further damage to my duodenum. It could take months and months to get over this glutening episode. Please do consider what I have said and do not trust what Hain claims their rice milk to be (gluten-free) because it is not. The FDA is as much to blame for my glutening as Hain is. They are way too lax in what they allow in gluten-free products. I have been drinking this poison for the past 3 months and have only just realised that it has been causing my glutening. I intend to take this information to my supermarket, DEFRA and approach the company direct indicating the legal irregularities surrounding their product. Either a product is gluten free or it is not. It should be labelled as such, any trace of gluten not notified in a product is misleading and dangerous. This company should be fined. I have nine litres of the rubbish waiting to go back to my local store. The EU directorate states that this product should be labelled "contains gluten" and should also state it was produced in a factory handling gluten. Other products appertaining to be gluten free (but containing allowable levels) say so on the packaging. Other labels advise the product has been manufactured in a factory containing gluten - which gives us the choice as to whether we choose to purchase and consume it. I shall go back to Alpro almond milk which I was using in the beginning with no problems. It is more expensive but better for my health. So does anyone have any recommendations for a gluten free rice milk? I have been using the Silk Pure Almond Milks. I also have an issue with carageenan in addition to dairy and gluten.